Bad circuit board in your Corvette? Need your speedometer and tachometer working again? Look no further than the C3 Corvette 1978-1982 Corvette Circuit Board - Speedometer & Tachometer Cluster here at Corvette Mods. 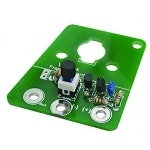 New circuit boards could provide the solution to your blinking or non-functioning gauges. With thick copper circuit paths and bulb contact points, this Corvette Circuit Board is easier, better, and more affordable than others. With the Corvette Circuit Board being a restoration part, this reproduction piece is designed to work with your Corvette from GM specifications. Now you won't have worry about a malfunctioning speedometer or tachometer again. 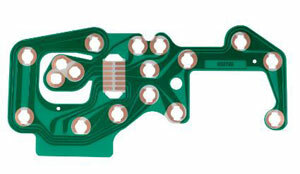 The Corvette Circuit Board can fix them right up so you can be safe while driving your C3 Corvette.